USPA NEWS - From the sleepy one horse town of Mullumbimby famous for it's relaxing lifestyle, of incense wafting through the streets , alternative medicines and eco tourism comes a very quiet achiever who has spent her years living with nature in an additive free lifestyle. Mullumbimby is about 4 kilometres (2 mi) west of the Pacific Highway near where the now closed Murwillumbah railway line crosses the Brunswick River. The line opened in 1894 and was closed in 2004 because of an argument over funding between Federal and State politicians forcing many to move to the neighbouring town of Byron Bay . 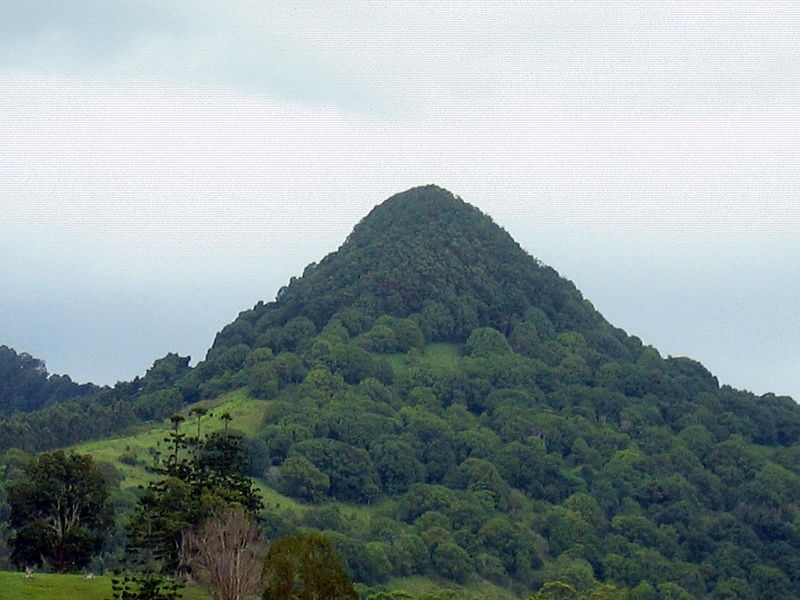 Swinson describes herself as ," a single mother of 2 born behind mountains of mullumbimby (upper Wilson's ck) but now living the life in Byron bay. I grew up with no electricity, no phone, no town water or flush toilet . We lived in a bus and various shacks on our 12 acre property which backed onto national heritage rainforest . My parents were hippies who moved to the area in the 70's. I am helping with Sharon shostack's second documentary " The children of the hippies" at the moment and look forward to its release". Said Swinson with a glowing smile. "My upbringing has given me an open heart and a non judgemental way of looking at life and people. I am passionate about protecting the environment and live a healthy holistic lifestyle which my children replicate. I try to set a good example and I have been involved with various charity's over the years as I believe it is important to give back to the community and I like helping people. I am a people person and my nickname is ' little miss have a chat' ." Swinson went on to say, " I have been modelling since I was 15, my mother modelled in the 70's, both my sisters modelled and now my girls are modelling too, so it's a family tradition , but we have always placed importance on personality not beauty. I asked Swinson about her modelling and acting experience. "True beauty comes from the inside out . I have acted since the age of 14 and this is a passion of mine. It seems the whole world is a runway and for many we are are always on show so we try our best to remember 'image' and our 'branding'. Over the years I've appeared in various commercials, lifestyle videos , Television series and movies, such as 'wolf creek' 'East of everywhere ' , movie worlds 'fright night' and 'Sydney weekender' just to name a few.. 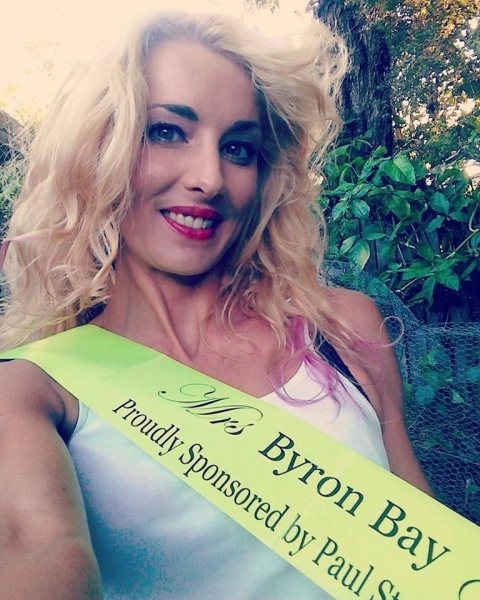 I am currently 'Mrs Byron Bay 2016 & 2015', 'Mrs Congeniality Australia Galaxy 2015', 'Mrs Galaxy National finalist 2015 & 2016' and 'Face of the globe international finalist (team Australia ) 2014 ( unfortunately I could not attend due to finances as this was held in London and Paris ). Swinson only returned to modelling 9 months ago after taking a break to raise her children. She intends to return to acting this year. Swinson is a dispensary technician and a qualified cosmetician who has worked as a makeup artist for Clinique . An extremely creative woman she also fire dances , does face-painting, creates and sells her own jewellery and teaches children's gymnastics. Australia Galaxy Pageants were founded in 2011, with just the title of Miss Galaxy Australia available to Australian women. 2012 saw the introduction of the Teen Galaxy Australia title , 2013 saw the first Miss Teen Galaxy Australia crowned. 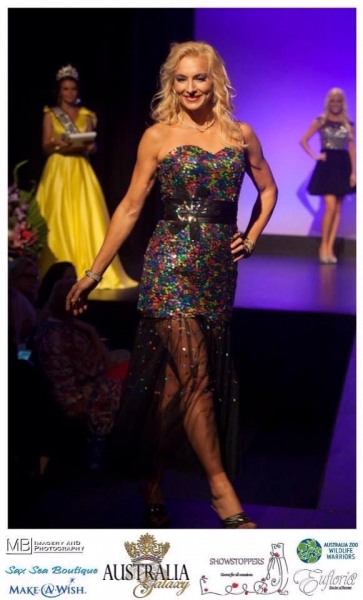 Candice Mead-Sheriff was the first ever Mrs Galaxy Australia Crowned in 2015". Emphasizing beauty, style and cultural appreciation, the Galaxy International Pageant is a personal development opportunity for women of all nations. The delegates who become part of the Galaxy International Pageant gain confidence and poise in an increasingly competitive world. The Pageant affords each delegate to grow and advance her personal and career goals whilst acting as a role model in her community.’ said President and CEO of Miss Galaxy International Pageants, Maria Torres. Australian National Finals will be held on the Gold Coast between the 13th and 16th of April. Coco Chanel once said, " “A girl should be two things: classy and fabulous.” Confucius also said , “Everything has beauty, but not everyone sees it.”. Knowing the amazing people , fashion designers such as HollyRose Couture, Shero Fashion and brands like Aphrodite Cosmetics that have now supported Swinson on her journey we can all say- "YES we see your beauty as it does shine from within."